A hazy view of Connaught Place, New Delhi. Photo credit: Subrata Biswas/Greenpeace. The air quality in Delhi is so poor that a health emergency has been declared and schools have been shut down. Various regional governments are quarrelling with each other and with central government agencies. But solutions to the pollution seem elusive. The Indian environment minister, Harsh Vardhan, advised residents not to panic, saying that a Graded Response Action Plan was in place. But given that this plan has allegedly been in place for 12 months and Delhi’s air is as polluted as last year, it seems to have delivered little. The problem of Delhi’s air pollution has an obvious but expensive fix. Up to 90% of the pollution in northern India is caused by farmers burning stubble to clear fields in the neighbouring states of Punjab and Haryana. The Indian government had a plan to deal with the issue, but it fell apart as the states concerned couldn’t agree on a way to distribute the US$460 million in costs. The government is already spending a huge amount to deal with the costs of climate change adaptation. According to one study, India spent US$91.8 billion in the 2013-14 financial year, with costs projected to increase to US$360 billion by 2030. In 2016, non-governmental organisation Germanwatch estimated that India suffered direct infrastructural damage of about US$21 billion due to extreme weather events, equivalent to almost 1% of total GDP – or about as much as India spends on its health budget. The Delhi smog, therefore, shows how badly developing countries have been affected by climate change impacts, largely caused by the historical carbon emissions of developed countries. The huge losses and expenses a country such as India faces in dealing with these issues limit its ability to allocate funds to easy but expensive solutions which, in turn, lead to massive carbon emissions. 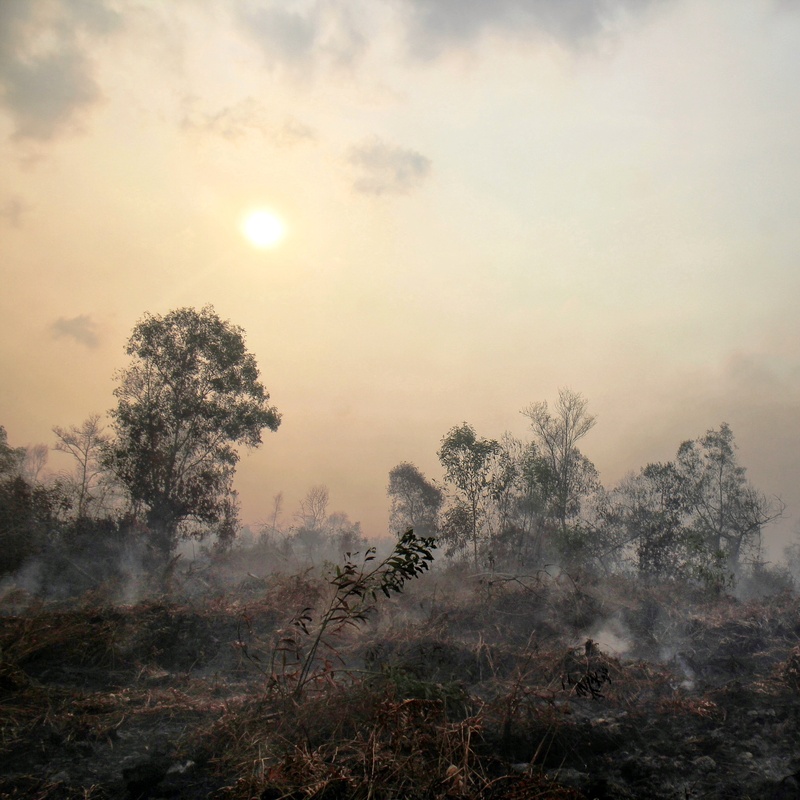 The effects of Indian crop burning will, inevitably, add to the load of carbon already in the atmosphere, compounding the problems of climate change faced by the world at large. More problematically, countries left to fend for themselves to deal with these issues will have to boost their GDP. At a briefing for Indian journalists before this year’s climate talks in Bonn, Thomas Hagbeck, the counsellor for economics, environment and urban development at the German Embassy in India, spoke of Germany’s low-carbon transition. He emphasised that the transition from fossil fuels was not cost-free and required significant investment. Germany has a per capita GDP of nearly US$42,000, compared with India’s US$1,850. As a result, developing countries such as India, which is also the fourth largest carbon emitter after China, the US and the European Union, is likely to adopt the easiest and cheapest technologies to boost its GDP, pushed in part by the costs needed to deal with climate adaptation. It is little wonder then, that coal power plants remain one of the key drivers of energy growth in Asia. Being diffuse and long-term, environmental pollution is famously one of the major costs left out of economic calculations – but the bills are now due. This generation is the first in nearly 1,000 years to see a lowered life expectancy compared to the one previous. Our children are paying the costs, in large part because of air pollution. From the beginning of this year’s climate talks in Bonn, the issue of how developed countries meet their obligations to developing ones for the costs and losses from climate change has cast a shadow over proceedings. The Delhi smog cannot be disentangled from a larger global problem, which will not go away without a global solution. The fact that developed countries refuse to have that discussion hurts us all in the long run. First published in India Climate Dialogue.